Former Secretary of State Hillary Clinton joins SiriusXM for a town hall event hosted by Zerlina Maxwell at SiriusXM Studios on September 25, 2017 in New York City. 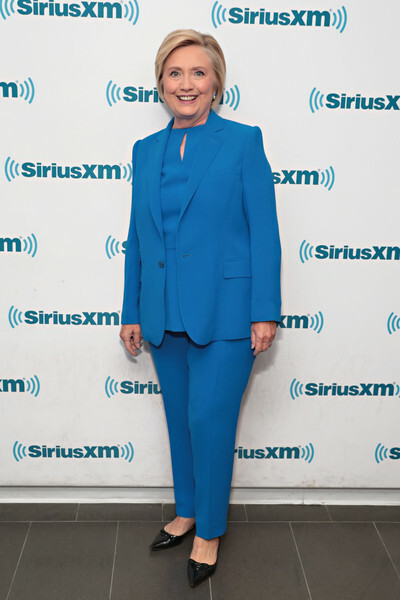 Hillary Clinton visited SiriusXM wearing an all-blue jacket, top, and pants ensemble. Hillary Clinton completed her outfit with pointy black flats.